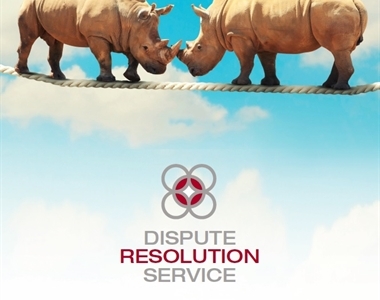 Alternative Dispute Resolution (ADR) remains central to the justice systems of many jurisdictions with mediation as one of the most popular forms of ADR. 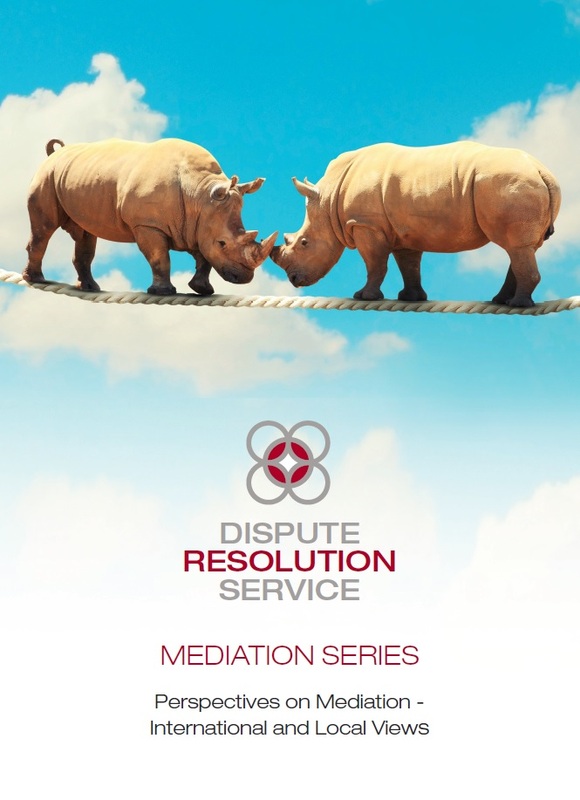 In response to the growing interest, commentary and use of mediation the Dispute Resolution Service is delighted to launch its ‘Mediation Series’ which will showcase developments and updates to practitioners and clients. 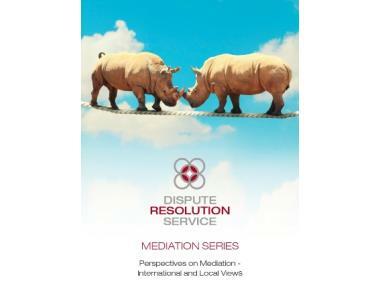 The first in the series of events is entitled Perspectives on Mediation - International and Local Views. This event will provide international and local perspectives and updates on the use of ADR from leading mediators and practitioners. 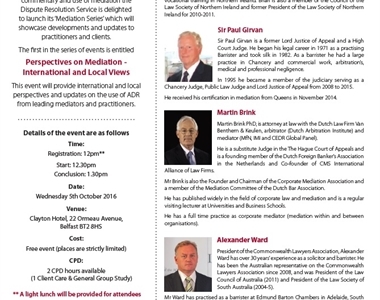 To secure your place please email: cpdbookings@lawsoc-ni.org before Friday 30th September 2016. Please note that spaces are limited and will be allocated on first come first serve basis. 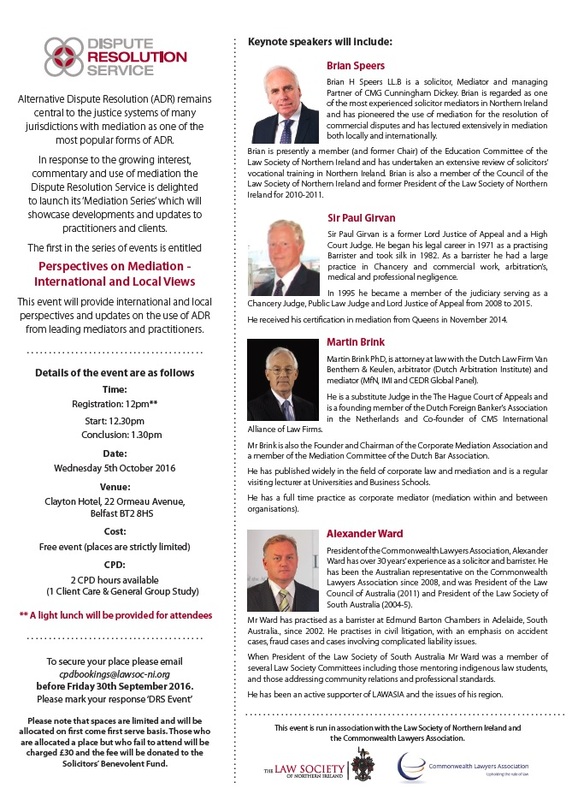 Those who are allocated a place but who fail to attend will be charged £30 and the fee will be donated to the Solicitors’ Benevolent Fund.